Being able to trace calculation from any cell is a very popular IBM TM1 and Planning Analytics feature. This is now available in Canvas v3.2.0. Prerequisites: TM1 should be at least PA 2.0.3 (TM1 11.1.0.30). A new parameter tm1-hide-trace-calculation has been added to the tm1-ui-dbr directive in order to hide the Trace Calculations option if required. 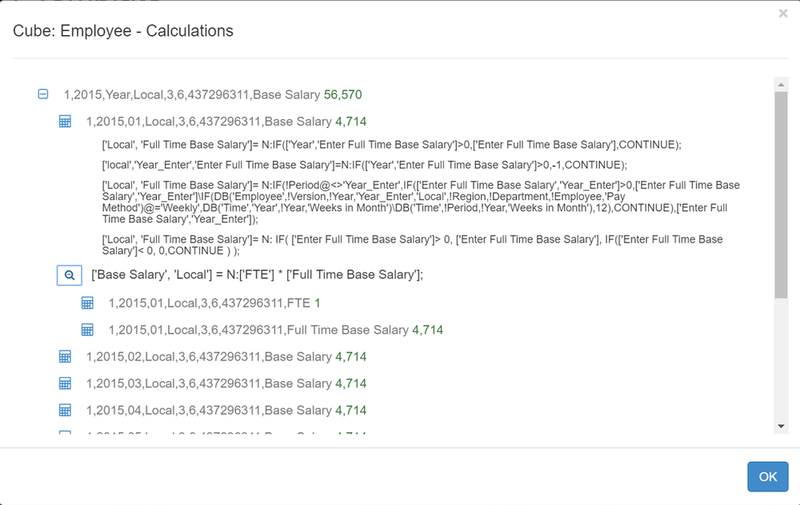 The Trace Calculation feature can also be accessible from the $tm1Ui services. The new service is called cellTraceCalculations(instance, cube, element1, element2, elementN, options). More information in your application Help page (http://<serverName>:<portNumber>/<applicationName>/#/help).